Call for Military Award Nominations! Nomination period extended to July 15, 2017! We are soliciting nominations for the 2017 Military/Uniformed Services & Civilian Meritorious Service Award. The base period of performance shall be the period October 1, 2015 to September 30, 2016 or Calendar Year of 2016. Component Diversity or Service MEO Office should be submitted nomination package directly to 2017awards.hispanic.image@gmail.com by July 15, 2017. Amazon Smile will make a donate to National Image, Inc. for every purchased you make. Thank you for your support. 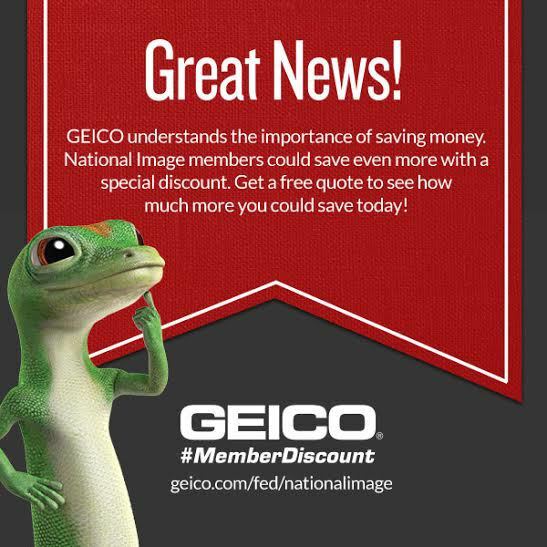 National Image, INC. has partnered with GEICO to offer you a special discount on car insurance. Plus, every quote helps support National Image INC. programs and events. Click here or on the GEICO logo to get a quote.